I have written numerous magazine and newspaper articles on such diverse topics as screen time for babies, raising wild turkeys, chronic pain management, road construction, wildlife art, therapeutic horseback riding, and map-making. I edited Northwest Business Magazine. I also edited To Teach, To Learn, To Live: The Complete Diabetes Education Guide for Health Care Professionals by Diane O'Grady, RN, RSN, CDE, Second Edition (2006). This book won first place in the reference category of the Writer's Digest Self-Published Book Awards (2010). And now a new door has opened into Storyland . . . the world I’m exploring with my grandchildren, Tommy and Tina. Take Scissortown, home of the neatest and tidiest people anywhere. Enter the Slicers and Dicers, clumsy-looking creatures without a mean bone in their bodies, but OBC types who never met a pinking shear they didn't like. They wreak havoc in neat-and-tidy land until the grown-ups come up with a “solution”—and that creates another huge problem for everyone. Enter Tommy and Tina, in a make-believe town but with their real and fascinating personalities . . . . I write stories for children and review children's books on Goodreads. 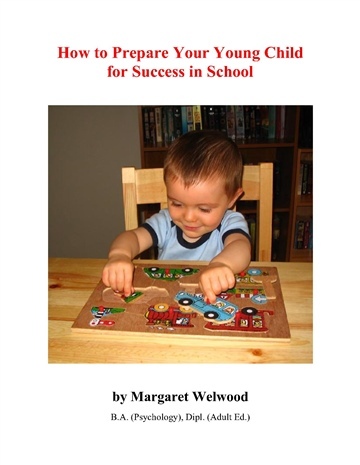 And I wrote How to Prepare Your Young Child for Success in School--offered here and free on Smashwords--to help parents of children 0 to 4 years old prepare them for a future rich in books and learning.